This is my Autumn Leaf Doily, which is one of the "Autumn Lace Doilies" set. Look at this beautiful version! Karen, of Mishap'sOdd's and Ends on Etsy used three different colors of thread to create it. I love it! 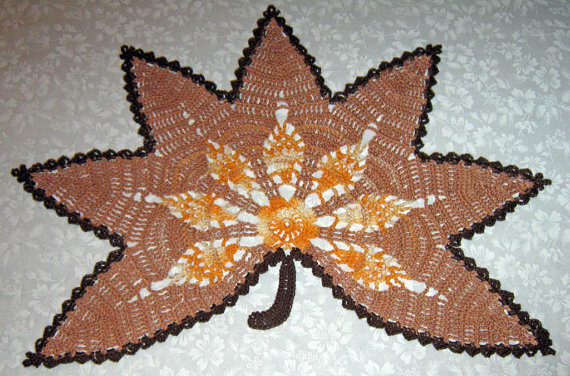 And look at this stunning doily, made by Valarie of VJF Crochet Doily Patterns on Etsy. This beautiful shaded thread gives it a whole new look. Valarie also used the doily pattern to create this amazing rug. 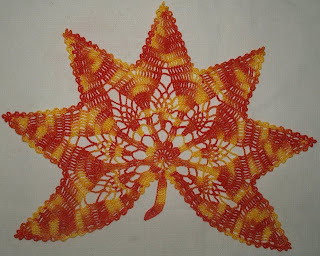 She used three strands of yarn held together as one, and a size P hook. 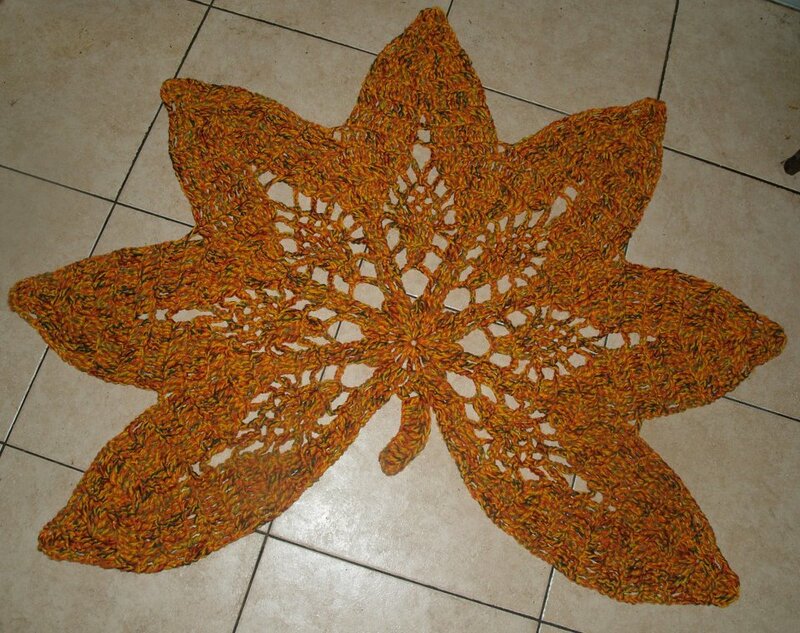 She omitted the edging, and says it is about 54" across and took about 39 oz. of yarn to complete. Now I want to make one for myself! 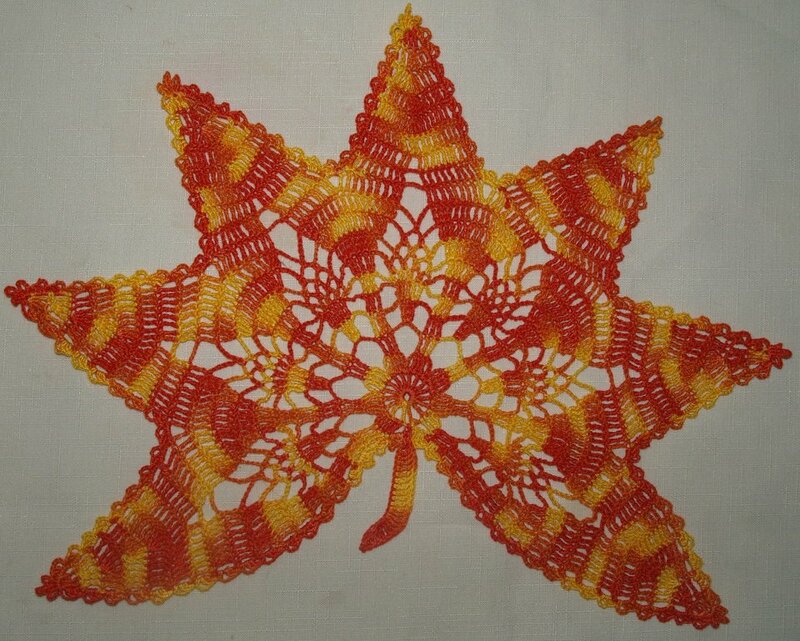 If you have any pictures of items you have made from one of my patterns that you would like to share, I would love to see them! These are all lovely...but of course, they are only lovely because the design is beautiful! Your designs are so lovely. :) Thank you for sharing your talent with all of us. Just wanted to stop by and say hello. I may not comment on each post, but I do read them all. Stay cool! They are so lovely. I really love to have these and I’m sure my mother would love these, too. We both love doilies. Thank you for these lovely creations.